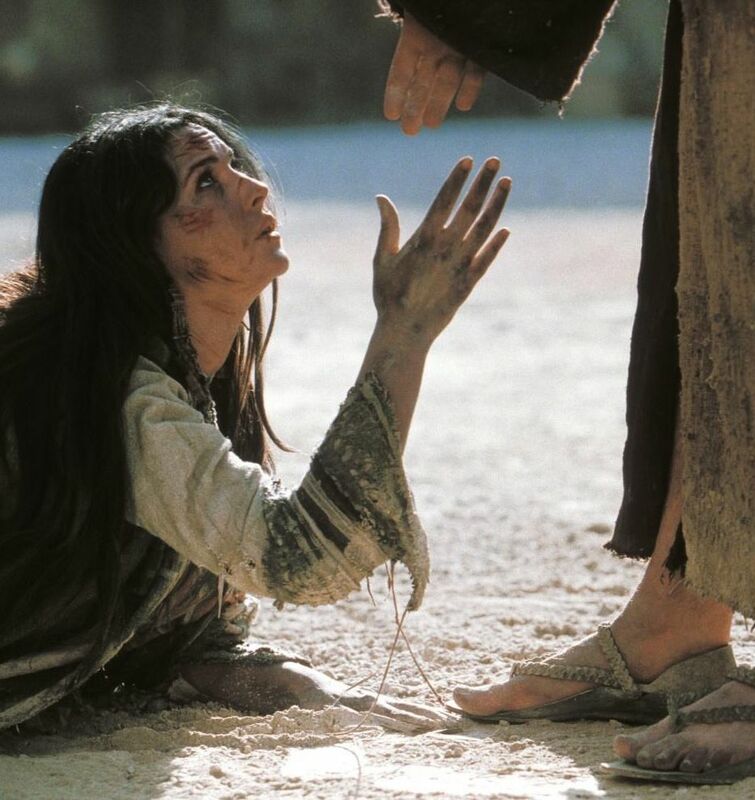 One of the most well-known verses in all of Scripture is found in John 8:1-12, most commonly referred to as the passage about “the woman caught in adultery.” Though her name is unknown, her sin is well documented. To the biblically literate, her story is as familiar as it is powerful. One minute, she is enjoying a passionate illicit rendezvous with a lover. The next minute, she is before a kangaroo court with her life hanging in the balance. One Man, stooped on the ground, seems to hold her fate in His hands. A group of men, self-proclaimed executioners, await His verdict. And off in the safe distance, barely visible and barely dressed – is her hidden lover. Equally guilty. Completely uncaught. The story represents all of mankind. Before a loving God, we are either the hidden man or the caught woman. We hide in pride or confess in humility. Which one are you? Below is the possible perspective of the hidden man. Click here for the possible perspective of the caught woman. They gave me 30 pieces of silver to sleep with the town whore and then they bust in the room and take her away? What kind of move is that? It looks like they are dragging her to court. How is that for justice? Why would they pay me to sleep with her, anyway? That’s certainly an odd request coming from the Pharisees. Makes me just like her, I guess. I thought it odd that some of them seemed all too familiar with her name and whereabouts. This obviously isn’t her first rodeo. Strangely, I don’t think it’s theirs either. I wonder what she got paid for our tryst? Doesn’t matter really – this whole experience is going to end up costing her. She must be cold – only wearing that robe. She certainly looks scared. I would be too if I were facing her judgment with all those stones. Her cries for help seem to be falling on deaf ears. Honestly, I think her fate was sealed before she ever came to the room today. And now she sits, sobbing, dirty, soiled, on the ground in the middle of the temple court – a public spectacle for the people to see. It’s not like her reputation could be worse. But clearly, in this case, she was set up for a fall. Such is the price of being a first century woman. Now, this is interesting! They are bringing her before Jesus. I’ve heard about that Man. Strange Fellow, really. Obscure background. Odd companions. Weird cousin. Outrageous claims. But, I have to say – He does some amazing things and everyone loves Him. Well, everyone but the Pharisees. I wonder why they are bringing her to Him? Wait a minute! The Law says both parties should be stoned, not that I’m going to come forward with that legal fact right now! I wonder how Jesus will respond to this one? I wonder if He knows this is a trap? If He says stone her, He will be violating Roman law since only a Roman judge can convict someone of murder. Besides, He preaches too much grace and love to say such a thing. If He lets her go, He will be contradicting the Law of Moses – the very law He keeps saying He fulfills. Man, He’s stuck either way. No matter how He answers the Pharisees are going to use this against Him. This should be good. What is He doing? Why is He stooping down like that? Is He writing on the ground with His finger? Man, this guy is strange! I wish I could see what He’s writing. The seasoned Pharisees seem to be reading it. The younger guys keep demanding an answer. I’ve got to say, this Jesus guy does everything in His own time. He doesn’t seem in any hurry to answer these men. Oh wait, He’s standing to speak. Now He’s writing on the ground again. He writes something and stares at one of them. Writes something else and stares at the next guy. His eyes are piercing. They are all squirming and whispering now. What is in the world is He writing? I wish I could see! Wow! The older ones are dropping their rocks! Seriously? They are walking away! I can’t believe this! Not one of them is going to stone her?? 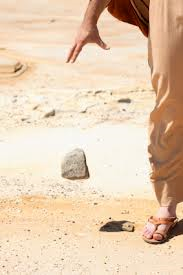 Is Jesus picking up a stone?! The woman is sobbing again. Maybe Jesus is going to stone her?? After all, He seems to be the only One without sin here. Who is this Man?? If He is really sent by God like He claims to be, why isn’t He judging her? Is my view of God all wrong? A God who cares? A God who forgives? I have spent all this time hiding in the dark, afraid of being judged. I wonder if it’s safe to come out now?